There’s nothing better, especially on a Sunday afternoon, than digging into a piece of slow cooked lamb shoulder or leg that’s so tender it falls from the bone. And a home-made salsa verde takes it to another level. 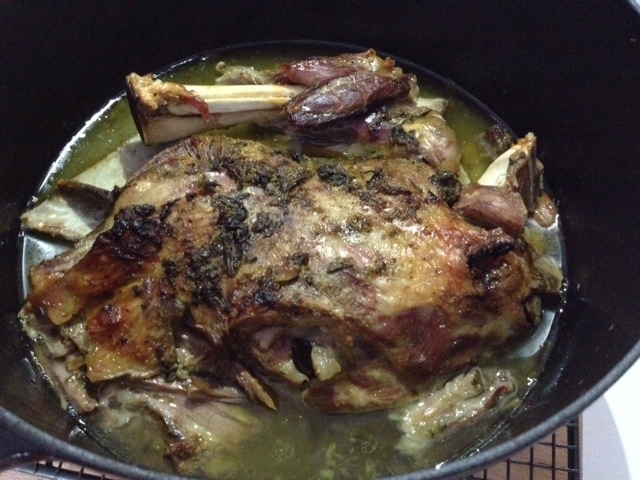 The last time I slow roasted a lamb shoulder (photo below and recipe here) I wanted something extra special on the side and that’s where this recipe comes in. I was inspired by Public Dining Room, a local restaurant that serves a very memorable salsa verde with their slow cooked lamb. 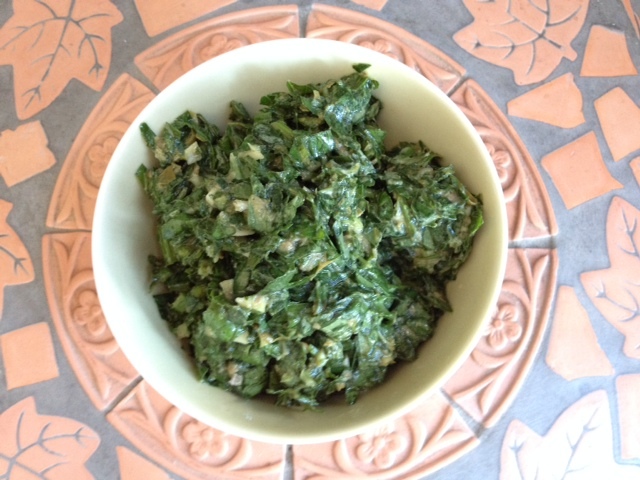 And you don’t need to be cooking lamb – this salsa verde would be a match with chicken or fish, especially salmon. You could also enjoy it with BBQ steaks or even as a salad dressing. 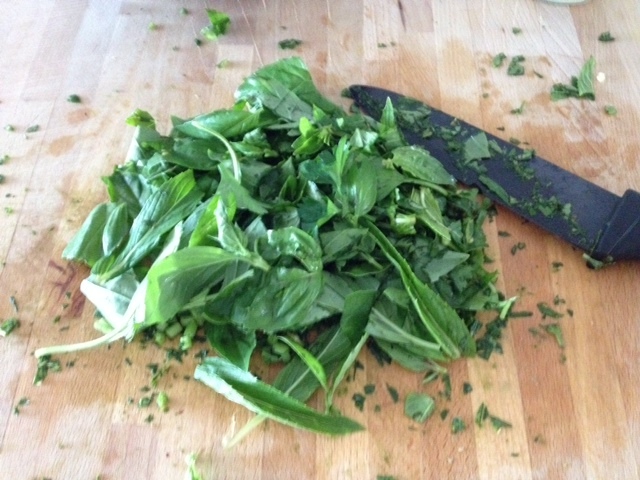 A note on the herbs – ideally you want half of the herbs to be basil and the remaining half a mix of mint and parsley. But depending on what’s in season you can experiment a little, adjusting the mix of herbs. Wash and dry the herbs. 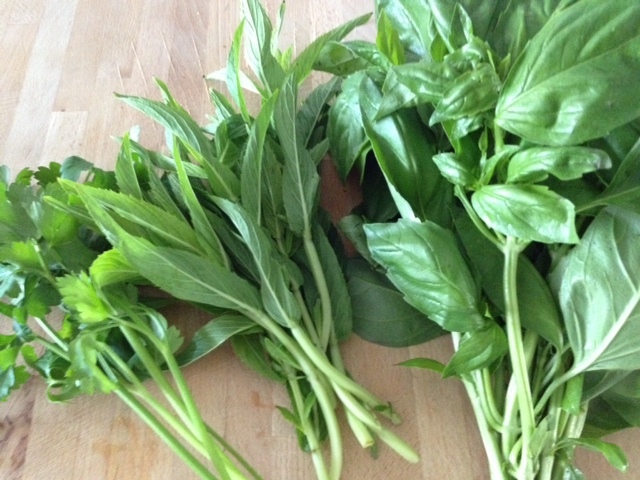 Remove the basil & mint leaves from the stalks (you can keep the parsley stalks). Finely chop all of the herbs with a large knife on your largest chopping board. Then finely chop the garlic and capers, and also the anchovies if you’re using them. Add all of the chopped ingredients to a large bowl and then stir in the vinegar and optional mustard. Keep stirring while you slowly pour in the olive oil and then add the seasoning. Prepare as close as possible to serving – if making in advance then cover and keep in the fridge. 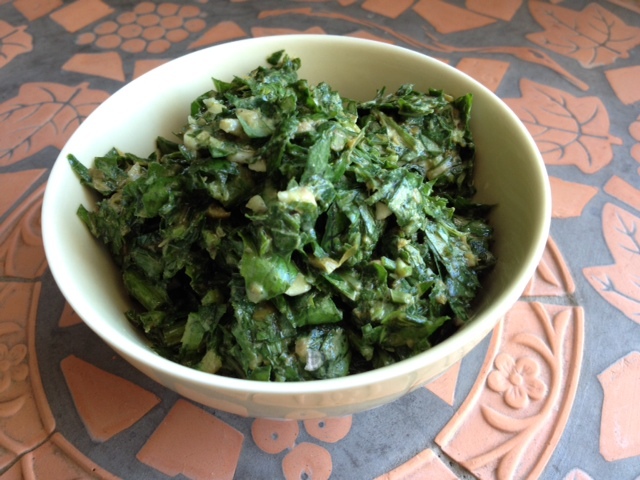 Experiment with the mix of herbs – if something isn’t in season then try a different combination. Tags: basil, chicken, fish, for, mint, parsley, recipe, salmon, salsa verde, steak. Bookmark the permalink. Previous post ← Have we forgotten how important breakfast is? Sounds so tasty. Agree that lamb is always lifted with a zingy sauce on the side! Thanks just tried to like your 400 Gradi post (love their pizza) but there isn’t a simple WordPress like option? loving this rustic salsa – a perfect way to use up all the herbs in my fridge!